The pencil holder that turns into an object of design unique of its kind. Style and elegance can perfectly match practical objects that help in everyday life. 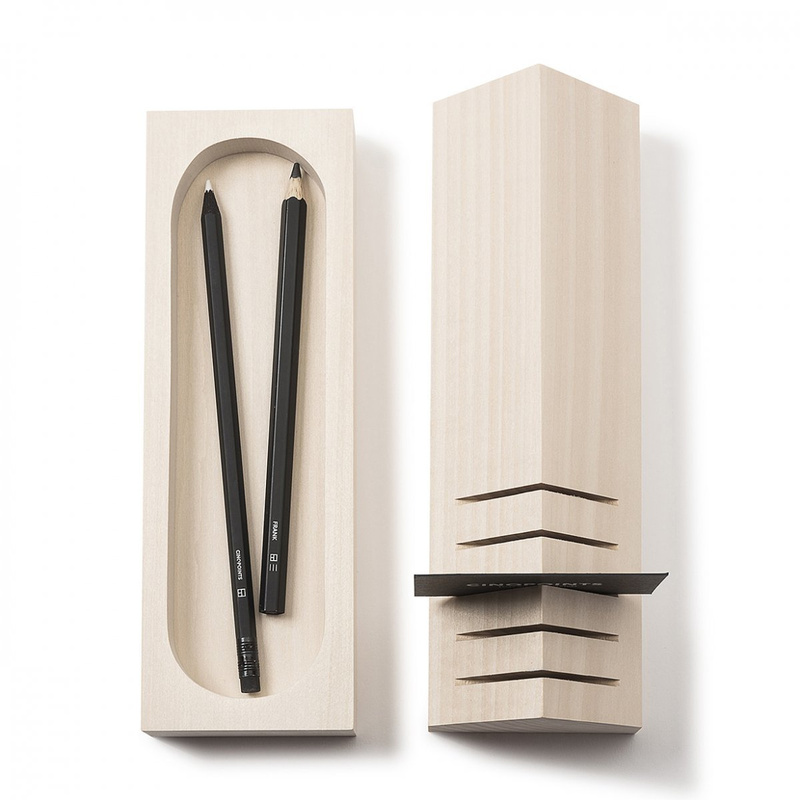 The pencil holder Volume 7 is part of a set of accessories for office that also includes an organiser and a card holder, and perfectly follows this philosophy of aesthetical practicity. It is realised by Cinqpoints, new French company that applies artistic creativity to objects at the same time useful and perfect to decorate the office. 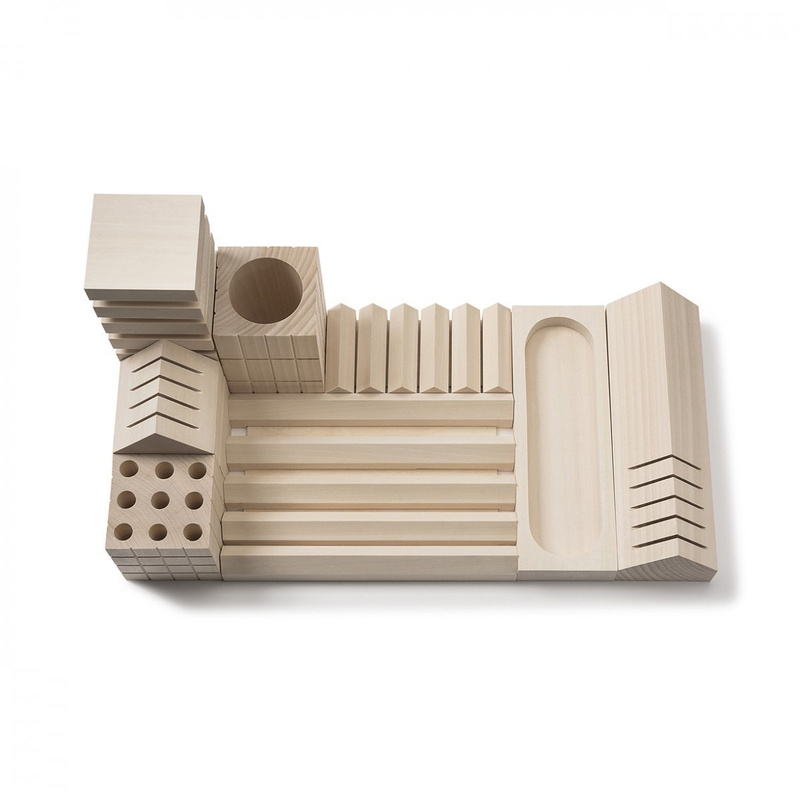 This ingenious pencil holder, together with the other accessories of the same set, recreates an original city. It is possible to use the various pieces individually, too. 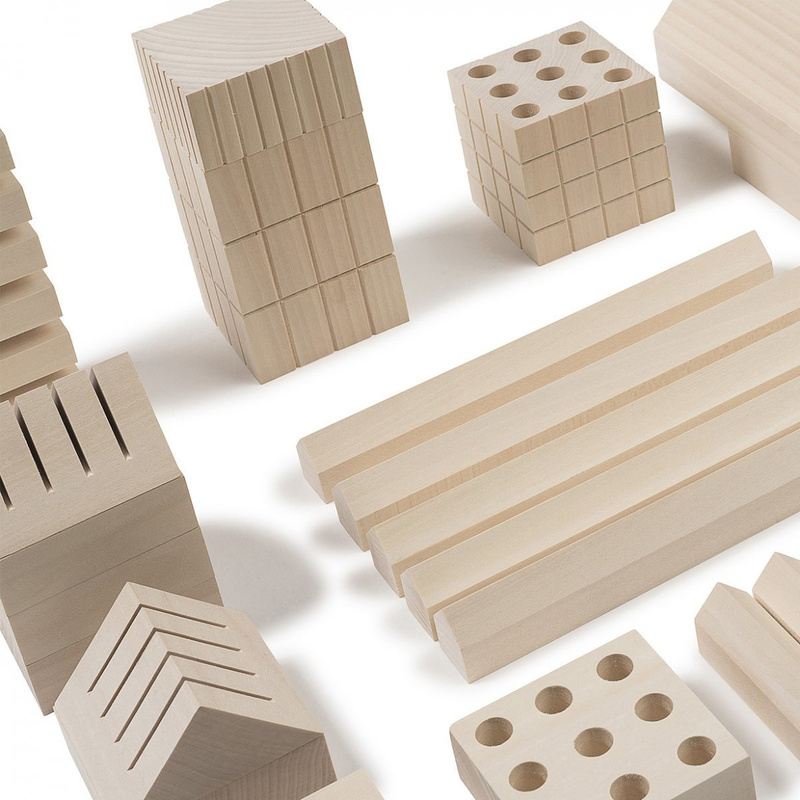 This set by Cinqpoints has been realised by using lime wood, well known for its characteristics that make it suitable for carvings and creation of sculptures. In addition, the wood used for the set was neither treated nor painted, so as to have a real object of design and quality craftsmanship. 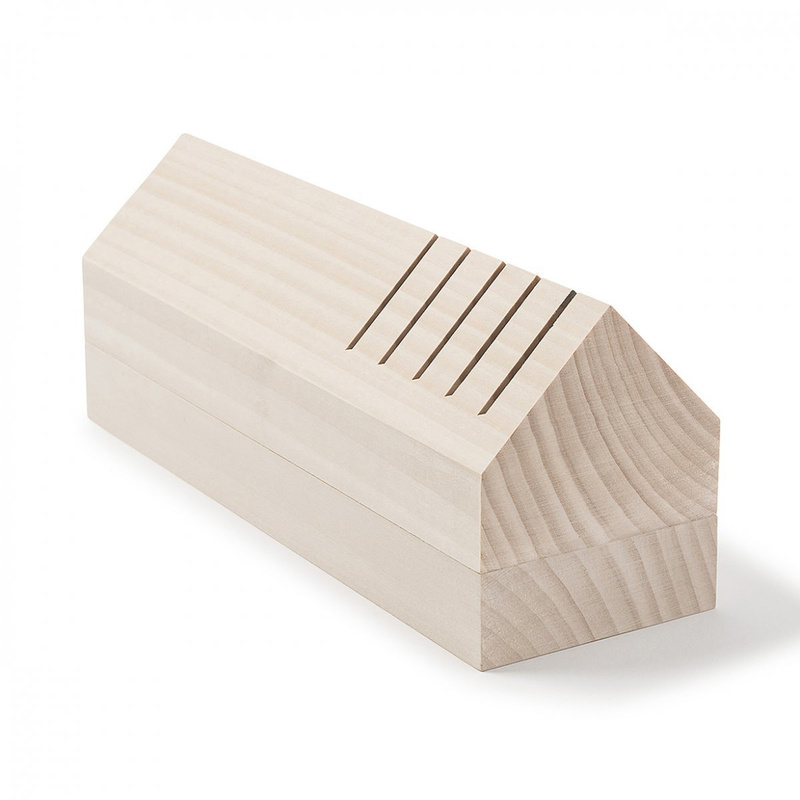 In particular, this pencil holder is composed of two pieces with a rectangular shape. The upper part, which is the roof, can be used to place in order business cards, separating them the one from the other, so as to always have them at hand whenever needed. The inferior part of the item, instead, thanks to its hollow, can be used to store pencils, pens but also paper clips, paperweight, rubbers and whatever may be useful at work. The Volume 7 pencil holder will give your desk order and fantasy. With this practical, compact and space-saving pencil holder, in fact, not only will the disorder be just distant memory, but you will also have the advantage of just one container capable to store whatever needed and to furnish your office, be it with a modern or classic style. It will immediately catch your clients’ attention thanks to its originality.